View cart “Sunset Plate T, 2XL” has been added to your cart. Our groovy logo is inspired by the fun loving attitude of the 1970’s. 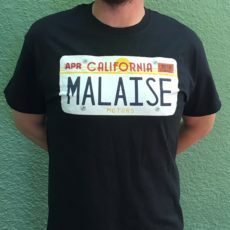 What better way to show off your Malaise Motors pride than by sporting this awesome design. Screen printed on heavyweight cotton.